The Good Garage Scheme urges all motorists to beware of the rise of thieves targeting catalytic converters. The part, located on the underside of your car in the exhaust system contains valuable precious metals and police have reported a rise in incidents throughout the UK. Thieves have been known to saw off or unscrew the part quickly and can then sell it on to a scrap metal dealer and have been known to steal from an area of parked cars. • Park in a garage if you have one, otherwise park in a well-lit area. • 4x4s and vans are more vulnerable because they sit higher from the ground. Park close to another vehicle so the underside is more difficult to access. • Place something heavy under the car that will make a noise if moved like a block of concrete, but remember to remove it before setting off. 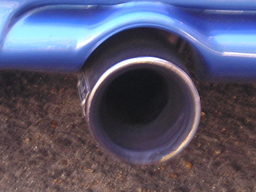 A catalytic converter can earn a thief around £200 but could cost the victim of the stolen part £1,000 to replace. If you are concerned about your catalytic converter, please contact your local Good Garage Scheme member at http://www.goodgaragescheme.com.